In Germany the autobahn allows unlimited speed on certain sections, and the average driver is highly skilled. 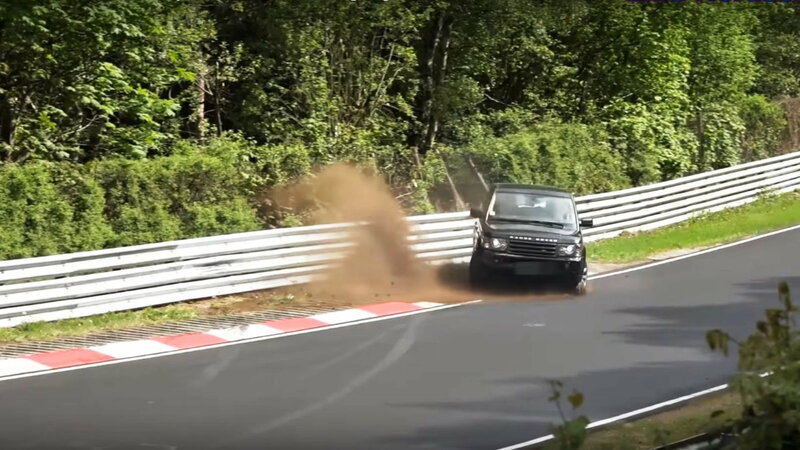 Still, when you set them loose on the Nürburgring Nordschleife race course to do hot laps many of them just can't handle it. Or maybe everyone in the videos are tourists? The modern 911 is seemingly uncrashable, especially when compared to the oversteer happy air cooled cars. That is little consolation to the owner of this car, which looks to have had a bundle spent on mods even after the Porsche option book sucked up all their disposable income. 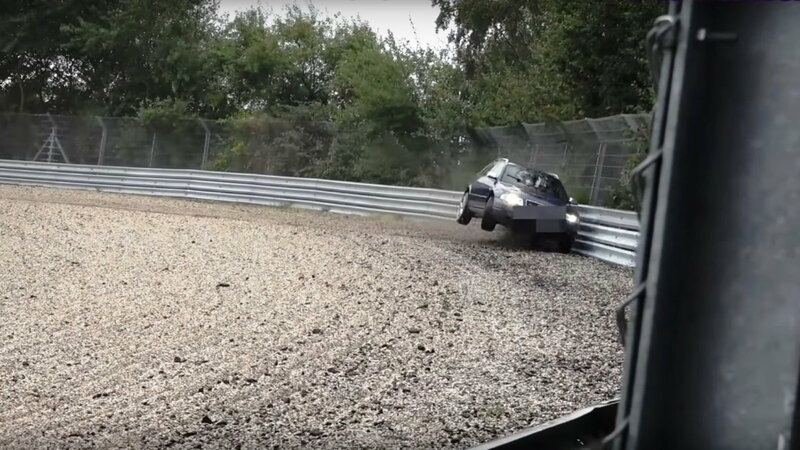 The gravel traps are there to slow you down so you and the car doesn't get too hurt, but there was no hope for this driver. Read all the way to the last slide for the link to the video. 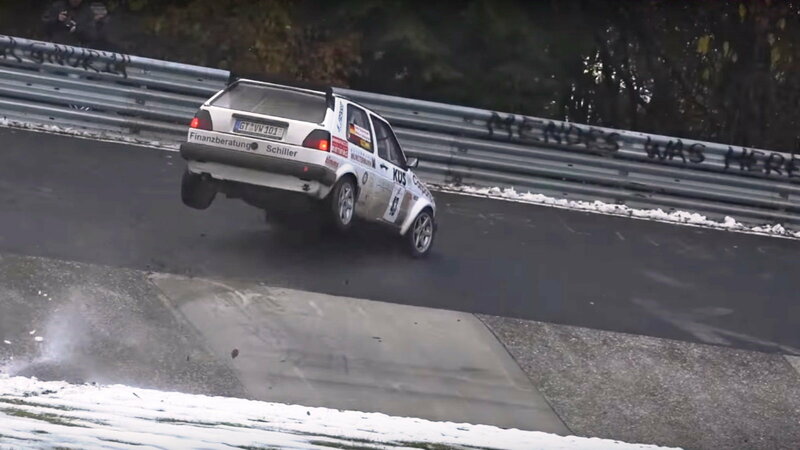 >>Join the conversation about Ridiculous 2016 Fails on the Nürburgring Nordschleife right here in the Mercedes-Benz World Forum! This Skoda wagon is exactly the type that thousands of middle class moms and dads take the kids to school in every day all over Europe. 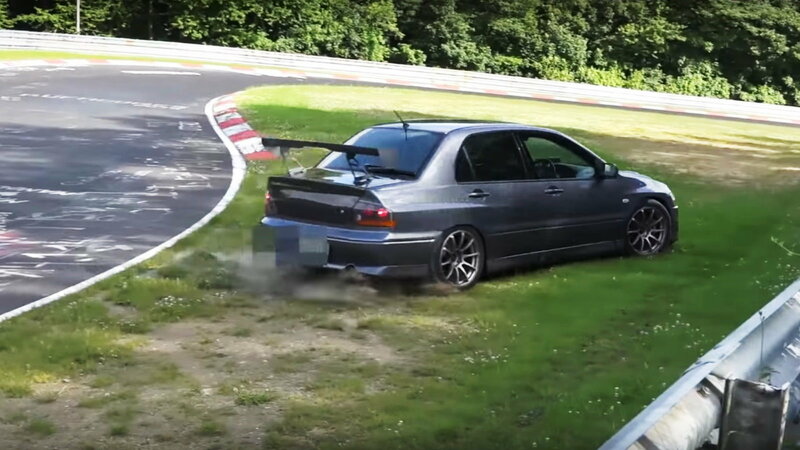 It seems this weekend dad was feeling a little brave and decided to take the kids for a spin around the Nordschleife. After getting wide enough for this impressive spray of gravel, things went down hill fast. Read all the way to the last slide for the link to the video. Cinderella story. Outta nowhere. A former greenskeeper, now, about to become the Masters champion. It looks like a mirac... It's in the hole! When you watch the video of this event, it doesn't even appear the driver was moving very fast when for some reason they go off course and into the wall. The link to the video is on the last slide. This Mitsubishi Evolution has a pronounced tail which it uses to attract a mate when natural selection further evolves into sexual selection. Anyway, that tail certainly isn't helping any with downforce to keep the tires on the road. Check the last slide for the video link. You just have to chalk this up to the driver not knowing the course very well, because he seems to zig where he should zag. Combine that with the tendency for front wheel drive cars, like this MkII Golf, to keep going straight unless you use the throttle, and when things start going wrong they just keep going wronger. You can watch the video from the link on the last slide. This Range Rover cannot resist returning to the terrain it is most comfortable on: The dirt. You can watch it get all kinds of out of shape via the link on the last slide. 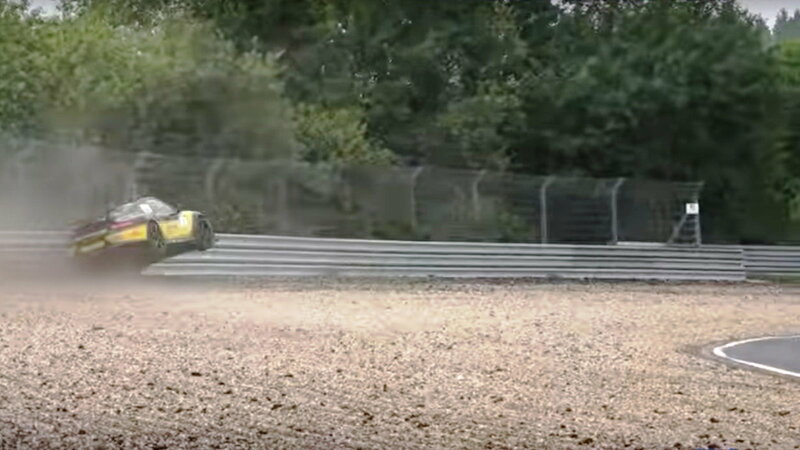 The amazing thing about this Audi A6 Avant is not how fast it was going, or how much air it got when it hit the wall. 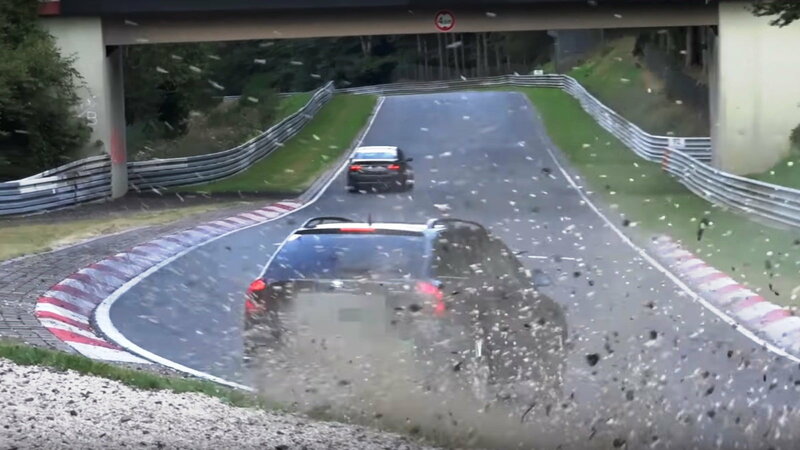 The amazing part is how the Quattro all-wheel drive system manages to pull him out of the gravel trap with no problem afterwards. 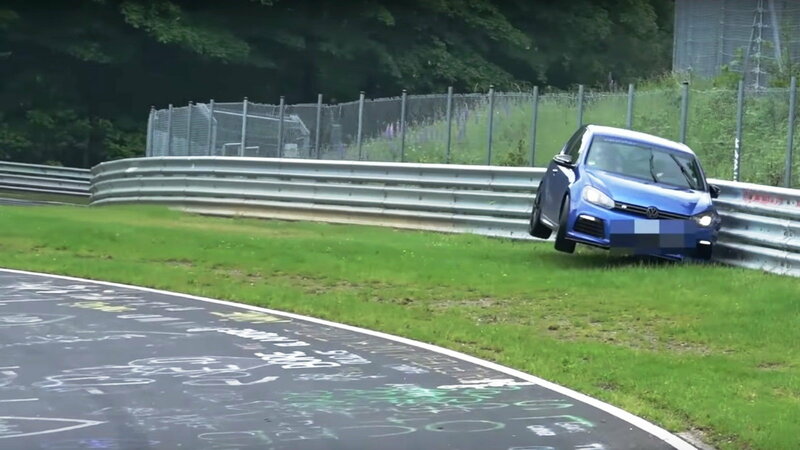 And these fails are less than half of what EMS Nordschleife TV managed to catch and compile on their 10 minute long CRASH & FAIL Compilation 2016 Nurburgring Nordschleife video.